Our house exterior is mostly brick. 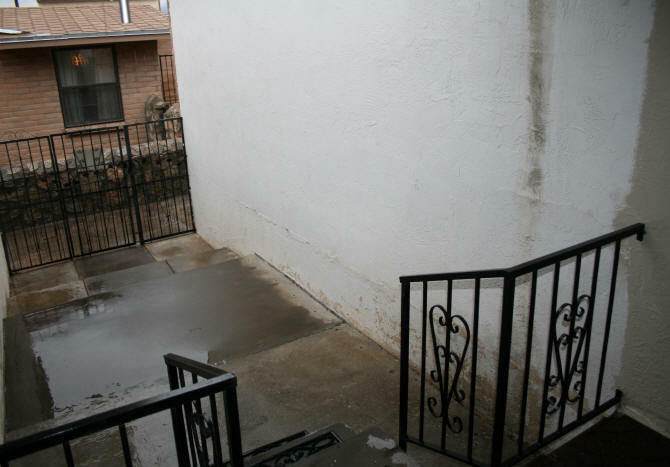 However, there are two walls that are covered in stucco between the house and garage. Over the years the seam between the foundation and house on both walls had buckled a little. Sealant was used on these cracks over the years. The paint had also started to flake off of the walls at the bottom. 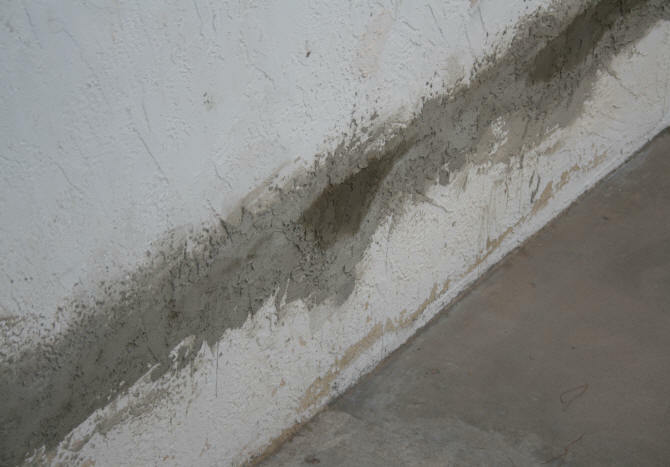 When one of our puppies came into the house with a chunk of cement in it's mouth, I knew the stucco had gone past squeezing a little sealant in the cracks. Some locally hard rain that came down at an angle had hit the wall, which did not help the situation either. So it was time for some stucco repair. I contacted a local contractor to do this work since this repair is something I had not done before. Fascia and soffit repair. Old caulk removed between soffit and stucco wall. 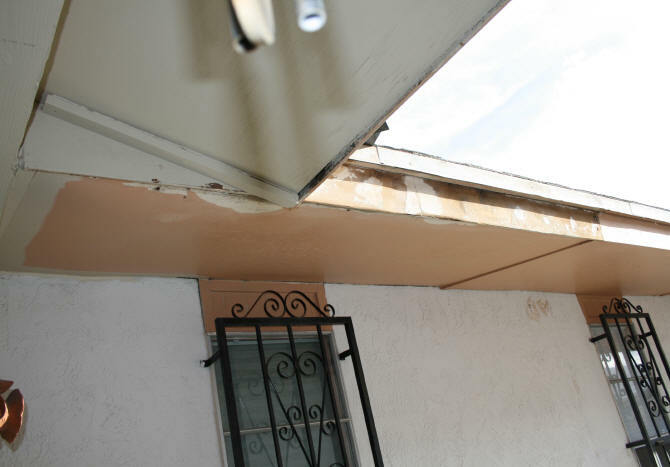 In addition to the stucco repair, I am going to re-seal around the windows, repair the soffit that meets with the stucco walls, fill any holes that are located elsewhere on the stucco, and scrape off the flaking paint. All of this to prepare for a fresh coat of paint that will cover both walls. 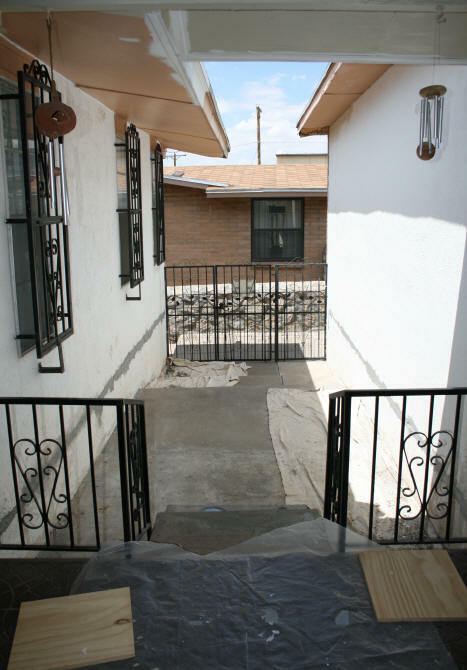 The wrought iron gate and wrought iron on the windows will also be sanded and painted. 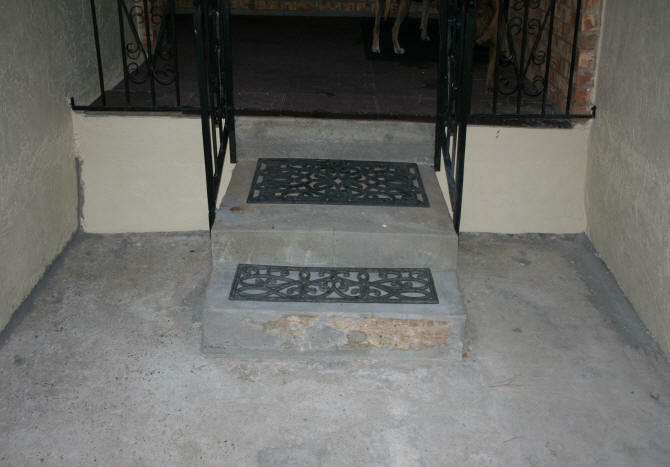 Another project is to do something with these ugly cement slabs. I am currently researching options like a stamped concrete overlay. The first thing the contractor did was chip out all of the loose concrete at the seam between the foundation and house. 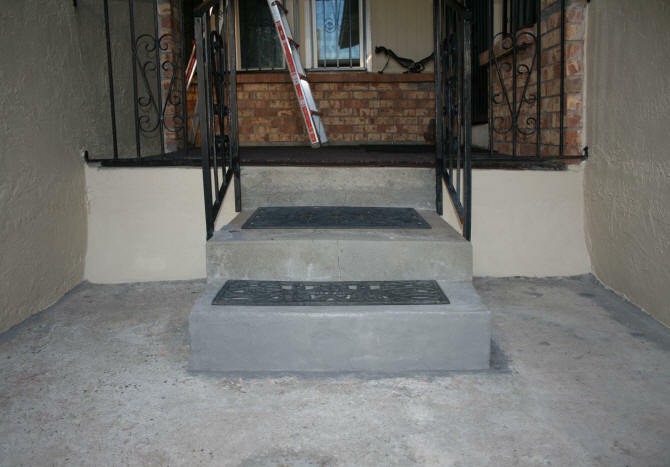 The contractor then filled the chipped out space with DAP Pre-Mixed Concrete Patch. At this point, he left for the day to let this first step dry. 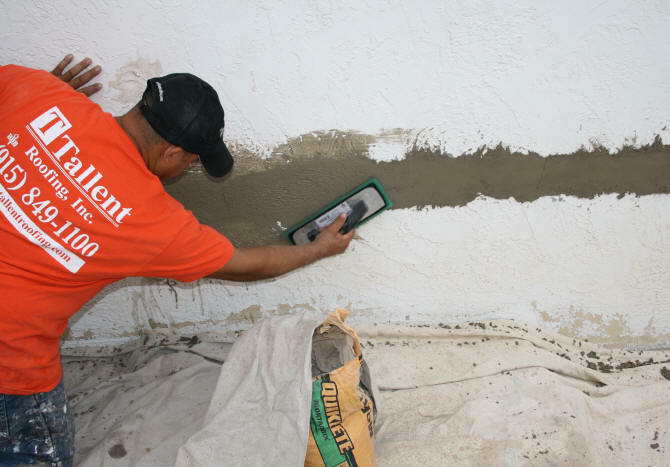 He said that the patch was thick in areas and was afraid that the weight of the stucco might pull out the patch if placed on before it set. 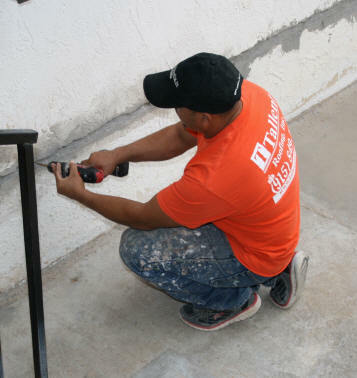 He would be back tomorrow to place the stucco on and re-texture the wall. we received the hardest rain we have had all year a couple hours later..
Based on my mop bucket which was sitting in the middle of the backyard patio, we received about 2" in one hour. In case anyone is wondering, there are no gutters on the house. 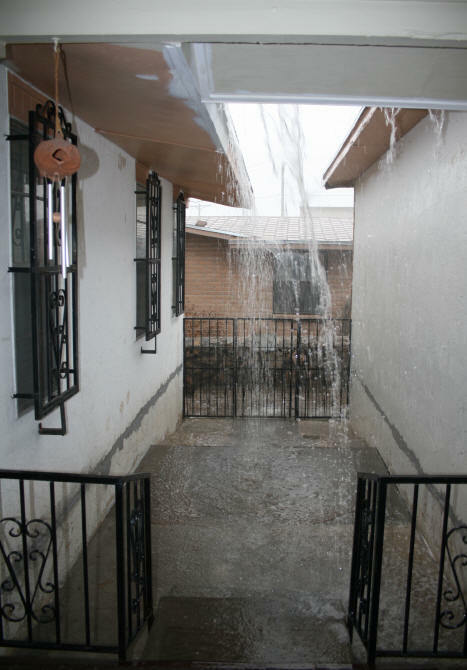 In fact, very few houses in El Paso have them because of the lack of rain. Even if I had gutters, they would have filled up and overflowed with this particular thunderstorm. Needless to say, the concrete patch was not dry the next morning when the contractor showed up at 7:00 am. He had some dry wall to hang at another job and said he would be back in the afternoon. August 14, 2014 - The repair actually continued the next morning. This was actually better because the patch had more time to set. Shallow holes drilled into the patch to help second coat adhere better The first thing the contractor did was drill some shallow holes into the patch. I asked him why he did this. I was told that this will help the second layer stick to the first layer better. 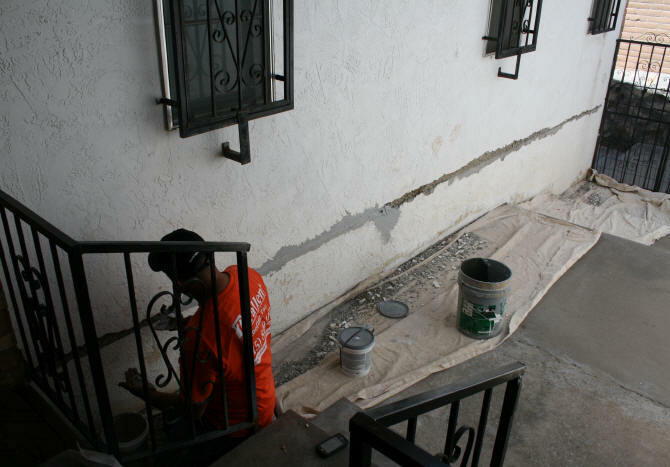 The next step was to mix the cement mix for the next layer of the repair. The cement mix was mixed with a little of the concrete patch added in. 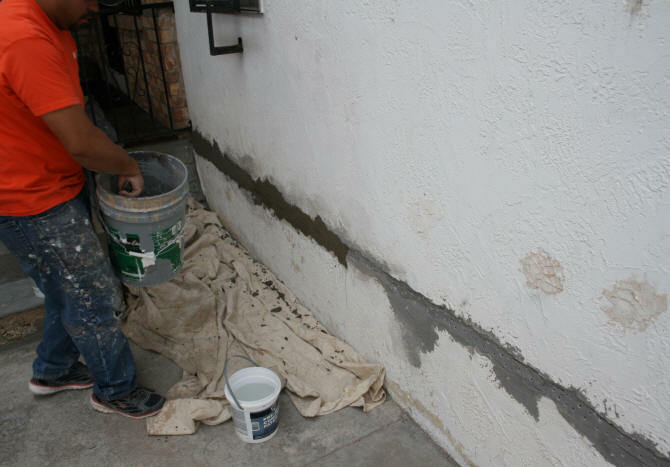 The mixture was then applied to the surface of the wall over the first layer of concrete patch. Before this layer dried. The contractor used a smooth float to level the patch to the existing wall surface. 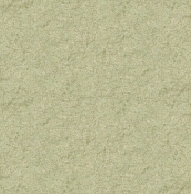 Because of this particular texture, it is almost impossible to match the existing wall texture exactly. So you will be able to tell that the wall was patched. 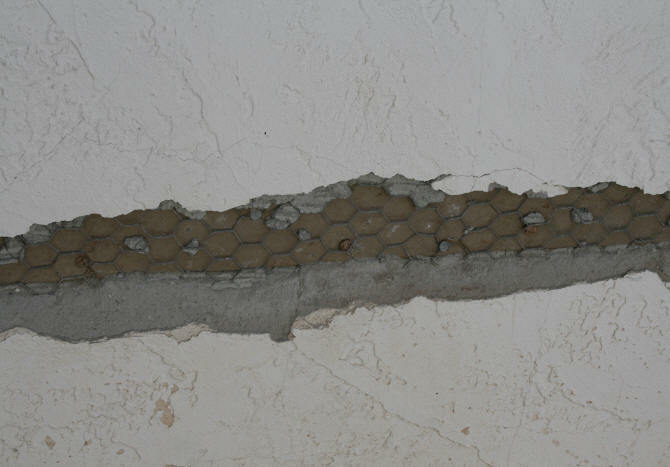 The only way for this not to happen is to apply new texture over the entire wall. I will be using a flat colored paint so this will minimize the appearance of this a little. The photograph to the right shows the completed walls. The area is blocked off because the puppies we have right now thought the patch would be great to eat off the wall. The rest of the work in this area will be done by me. I still have to brush off the loose paint along the bottom, seal some surface cracks and holes, seal around the windows, and prep the soffit areas on the house. The soffit on the garage will not be painted at this time because the entire garage roof is scheduled to be ripped off and replaced with a new higher pitched roof. 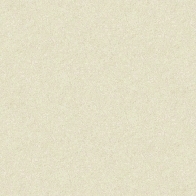 The brand of paint I will be using is an elastomeric paint called SherLastic by Sherwin-Williams. 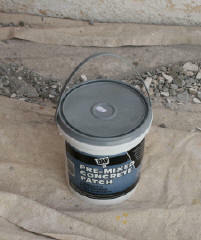 This paint is designed for use on masonry and concrete. The paint is about $50 a gallon but I use coupons and wait for sales to bring the cost down. 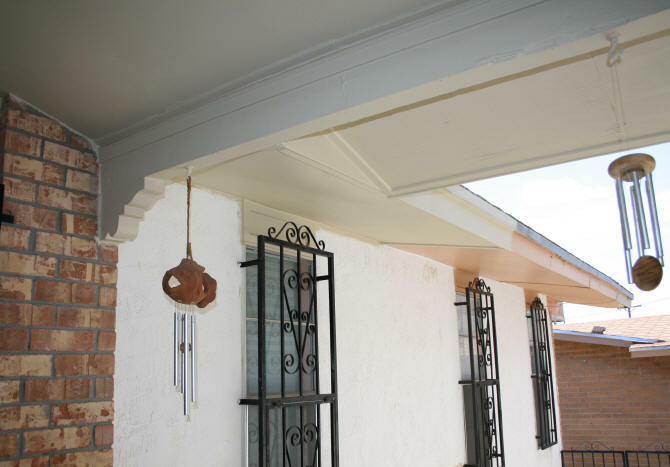 I finished painting the section of the soffit and fascia I had started on, before the stucco job began, while I waited for the patch job to set. One of the surface cracks I sealed before painting is shown below. 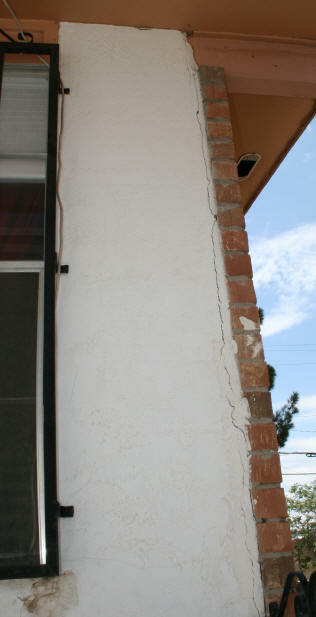 The opposite wall also had this crack along the edge where the stucco meets the brick wall. 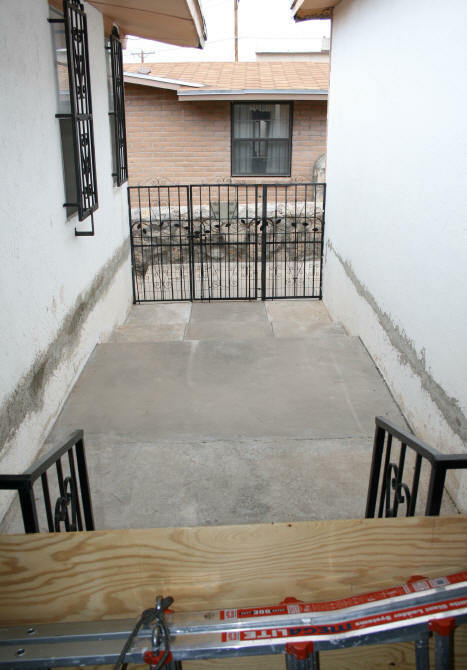 I also sealed along the wall and the concrete patio floor. There was a large crack that had developed here. I sealed it with Dap Acrylic Concrete Patch using my fingers to push it into the cracks and smooth out. The gap was just too wide for a caulk job. 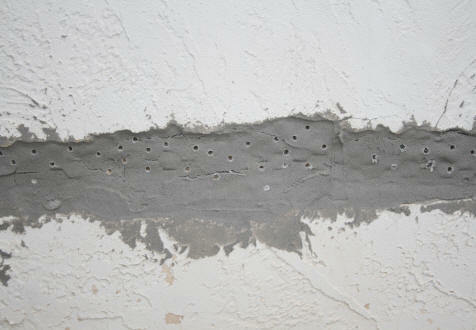 There were also about 30 holes drilled into the concrete from a "termite treatment" for termites that did not exist. Huh? There was this BS treatment for termites when we were closing on this house. Something I'm sure the realtor cooked-up to generate business for a friend. Both my husband and I came from humid climates where termites are everywhere, so we both know what termite infestation looks like. This house had no signs of termites anywhere. Needless to say, I needed to fill these holes to keep any more moisture from seeping in under the concrete slabs. 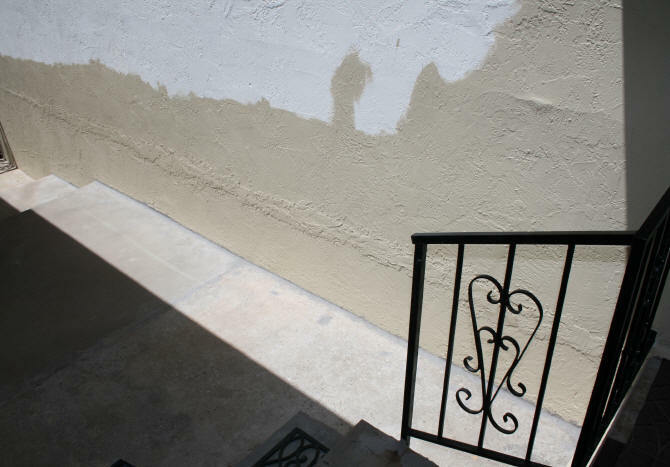 When I started painting on the garage wall, one thing became apparent....the stucco patch job was too noticeable. See photo below. 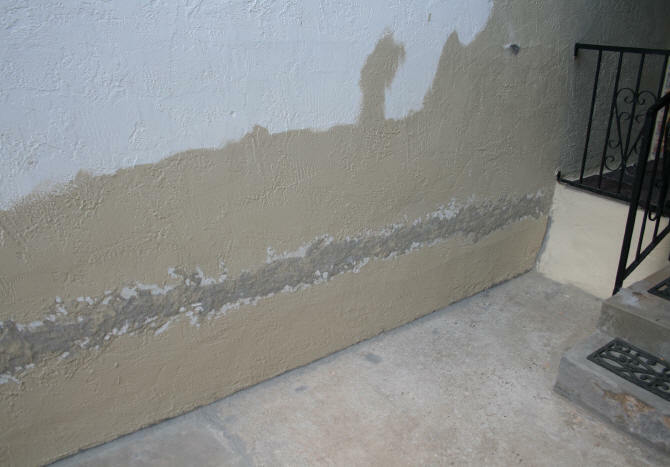 Garage wall with wall/concrete seam sealed and termite treatment holes filled. What I needed to do was knock down the patch job so it would be less noticeable. I used a paint/rust remover that I attached to my hand drill. I did not knock down the house stucco wall. 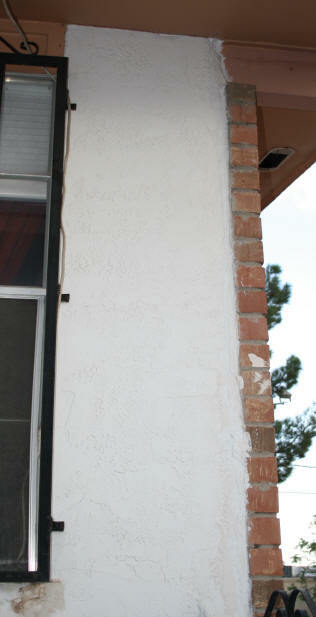 This is because the stucco on this wall had a thicker texture than the garage wall. The house wall was either re-textured before we bought the house or there were two different workers working on the two walls when the house was built. 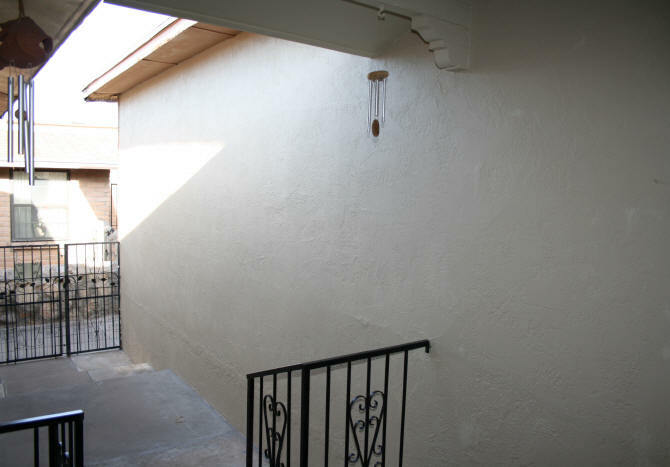 The completed stucco wall paint job is shown below. I still need to paint the area above the windows and sand and paint the wrought iron over the windows. 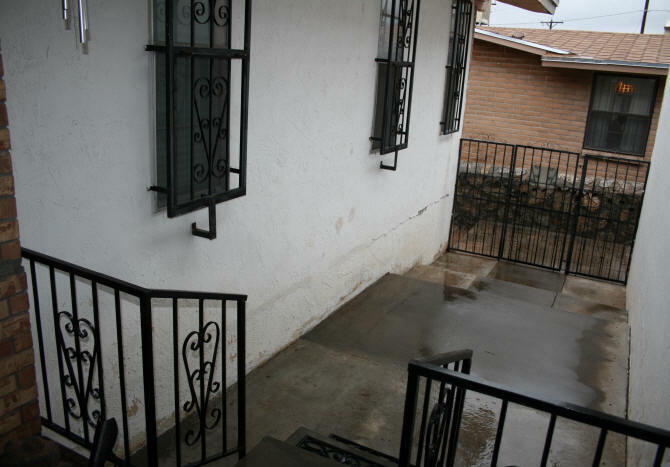 There was also an issue with the bottom stair that leads from the front entrance to the stucco wall patio. Water that keeps hitting here when it rain hard had worn down the concrete. I had patched the left corner last year when I was about to loose a big chunk of concrete. 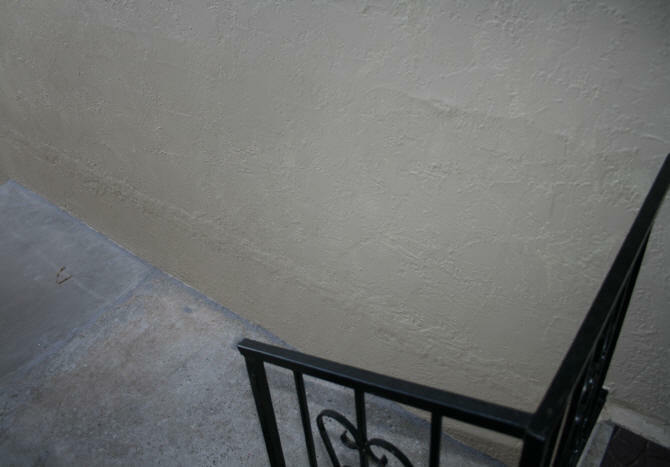 I again used the DAP Vinyl Concrete Patch. When I have the garage roof replaced I will see about extending the portion of the roof over this area, so the rain runoff is not directly coming down on top of the stairs. 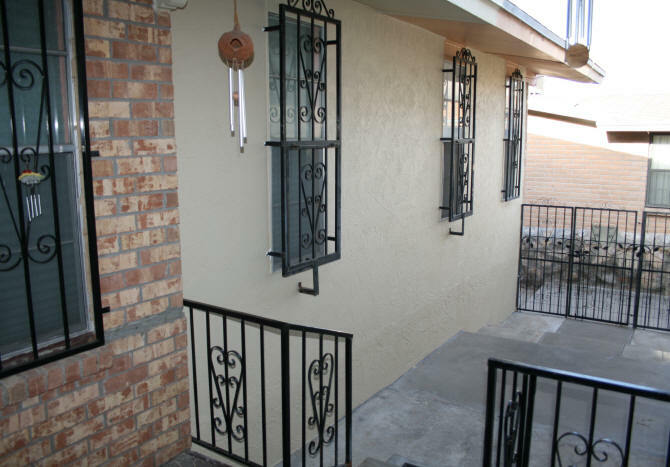 I am also going to do something with the stair wrought iron.